From baroque times to the present day the oboe has been favoured for its bright clear sound (as heard in many beautiful orchestral solos). Come and hear about the history of the oboe, and its close relative the cor anglais, while enjoying music by Handel, Albinoni, Telemann, Zemlinsky and more. 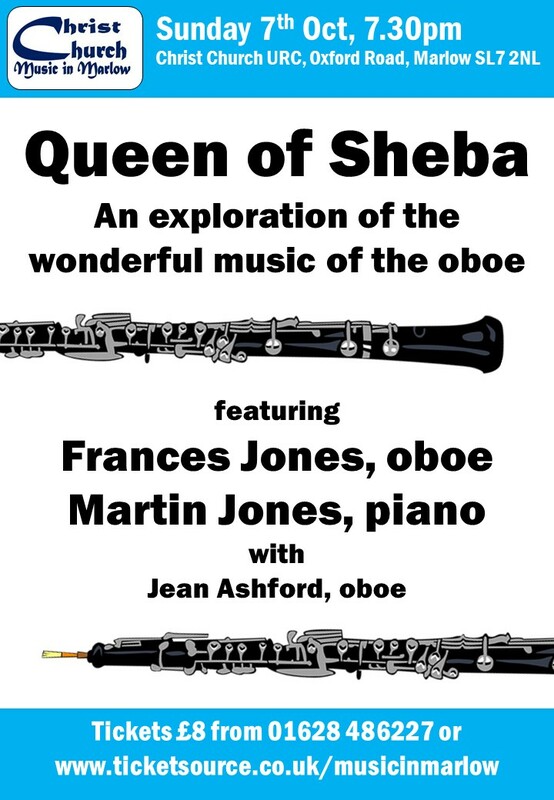 This will be an entertaining and informative evening of tuneful music for two oboes and piano, featuring Frances and Martin Jones with support from Jean Ashford.